My Mother’s Secret is out as an Audio-book! 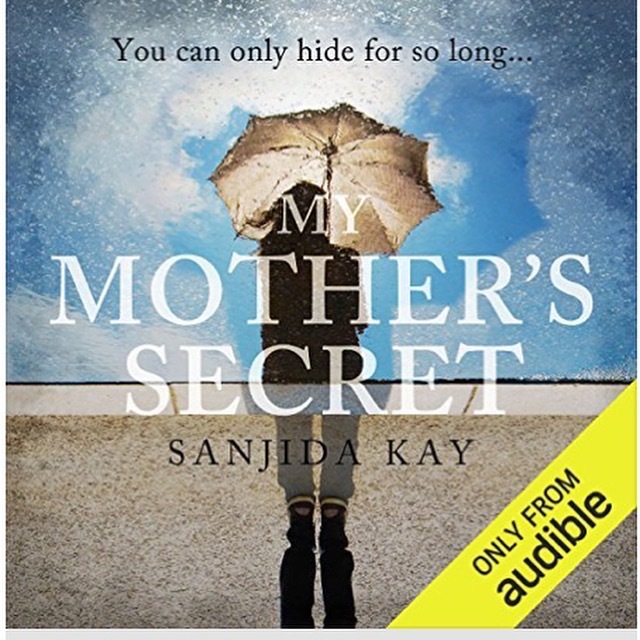 I’m delighted that My Mother’s Secret is out as an audiobook, published by Audible and narrated by Lucy Paterson. It’s available here. To celebrate, I’m giving away five free copies. Please sign up for my newsletter between now and July 8th, and the five winners will be chosen at random. This is a blog post I wrote on the importance of setting for The Asian Writer, and I thought would be most appropriate as I’ve just got back from a quick trip to the Lake District, where My Mother’s Secret is partly set. There’s a thin band of cream silhouetting the cranes that hover over the half-built office blocks in the city centre. I head home, below an arc of houses that will be bright as jewels when the sun comes up. At this time of the day, it’s beautiful; the river is still, and seagulls fall above it, like flecks of confetti. 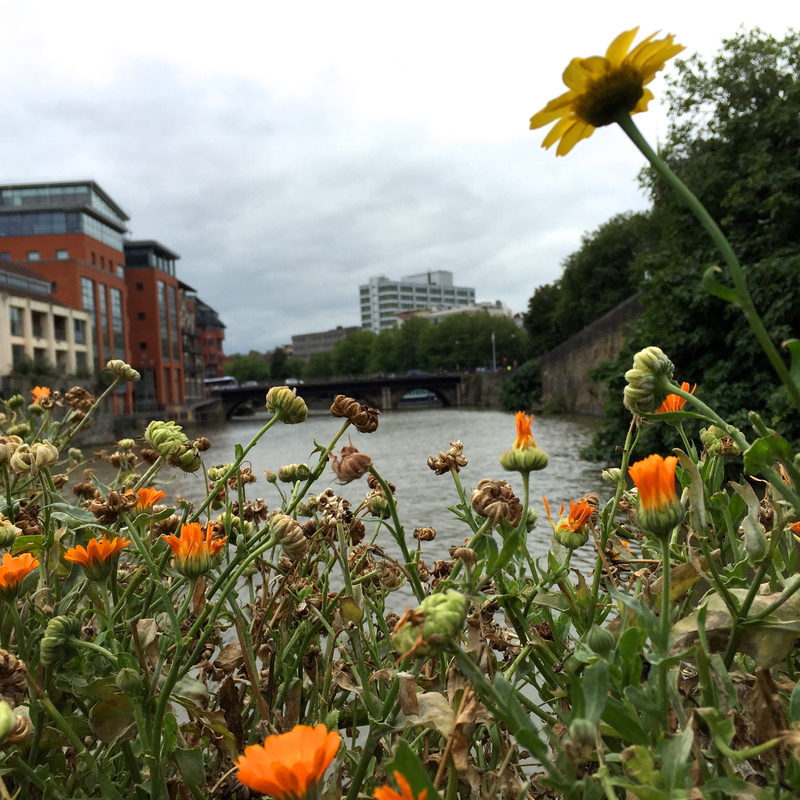 I love Bristol, where I live, as anyone who’s read my first thriller, Bone by Bone, might be able to guess! 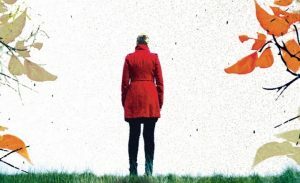 For my third, My Mother’s Secret, I’ve returned to Bristol as a location, but also placed another character – Lizzie Bradshaw – in Leeds and the Lake District. The settings in my novels are extremely important to me, but I’m certain a well-drawn location enhances any book. Can you imagine Salman Rushdie’s Midnight’s Children without the blooming buzzing confusion of Delhi, or Bright Lights, Big City by Jay McInerney without the smell of money and crack-hustle of New York? A detailed backdrop in fiction helps create a tangible world for one’s characters, as well as being a tool the writer can use to heighten tension or thicken the atmosphere. My main character, Emma Taylor, lives in a leafy suburb of Bristol: Long Ashton. The ‘world’ this woman inhabits tells us a lot about who we think she is: middle class, comfortably off, the kind of person who shops in M&S for a treat and takes her youngest daughter to ballet lessons. It seems calm, safe, secure. Emma, though, is tense and anxious: she’s hiding a secret from everyone she knows, so Long Ashton appears the perfect place for her. Similarly, her job as a baker makes us believe she’s in a cosy, comforting cafe, filled with the scent of bubbling yeast and buttery croissants. When the reader discovers the bakery is actually in a tunnel beneath a train station, it might, perhaps, start ringing alarm bells. In contrast, Belle Isle in Leeds city centre, where Lizzie Bradshaw works, really is a dark and dangerous place. A couple of boys around thirteen, but already taller than her, were hanging about on the street corner, and there was another group of young men in the centre of the housing estate, smoking and swigging from cans. She could hear the wind, boxed in by the flats, moaning round the corners. Chocolate wrappers and newspapers rustled across the ground, and a Staffordshire terrier tied to a bench with rope growled at her through bared teeth. 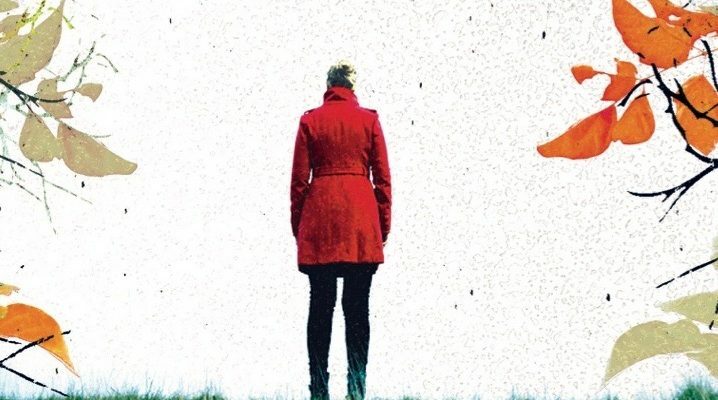 Stella, Emma’s fourteen-year-old daughter, is determined to discover what her mother’s secret is. She’s a spiky, book-obsessed girl, and constantly reads Jane Eyre to make herself feel less anxious. 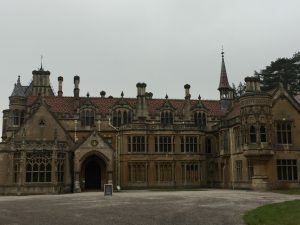 Many of the Bristol scenes take place at Tyntesfield, a gothic mansion near Long Ashton. William Gibbs’ collection of curiosities is stacked up and draped in sheets, but my torch picks out a few that haven’t been covered up: a glass dome with tiny, stuffed hummingbirds, the smooth carapace of an ostrich eggshell, a jade-green ammonite. This would be the perfect place for someone to stalk us. There are so many hiding places. The architecture and the claustrophobia of the rooms mirror both Stella’s gothic obsession, and the escalating tension in Emma’s life. The suburbs and the city centre are densely populated: as Emma says, ‘I like being surrounded by people – it feels safe;’ Lizzie, who lives in a remote village in the Lake District, feels safe precisely because there is no one around. 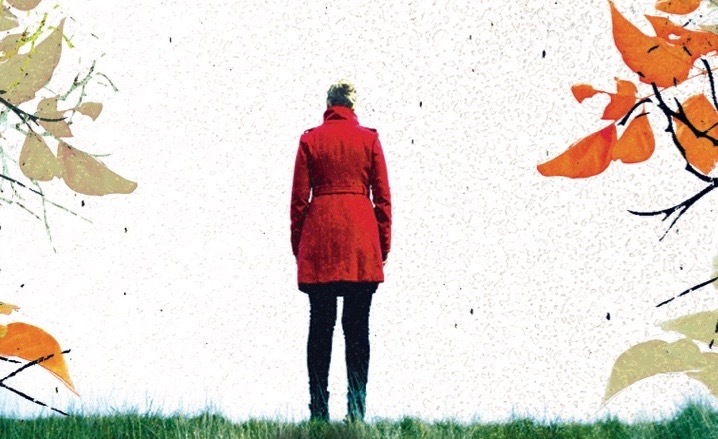 She tells DI Simon Duffield, ‘You can walk for miles and never see a soul. Please, let me go home. I’ll be safe there.’ But, of course, in a thriller, nowhere is safe and the places we feel most secure are often the most dangerous. 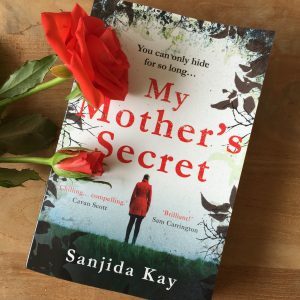 I’ve got ten free copies of My Mother’s Secret to give away! To enter the competition, please sign up to my newsletter (the sign up is to the right). The competition closes on the 3rd May and I’ll be selecting winners at random the following day. 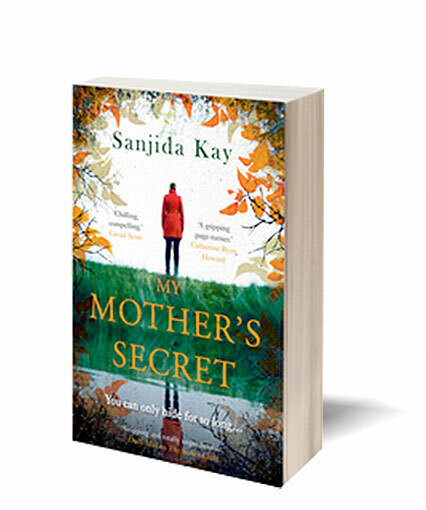 You can also sign up The Pigeonhole to win My Mother’s Secret, which will be serialised in ten extracts. The chance to win this competition ends on 3 May too. Happy Earth Day! Today, we’re celebrating our extraordinary planet, and trying to end plastic pollution. 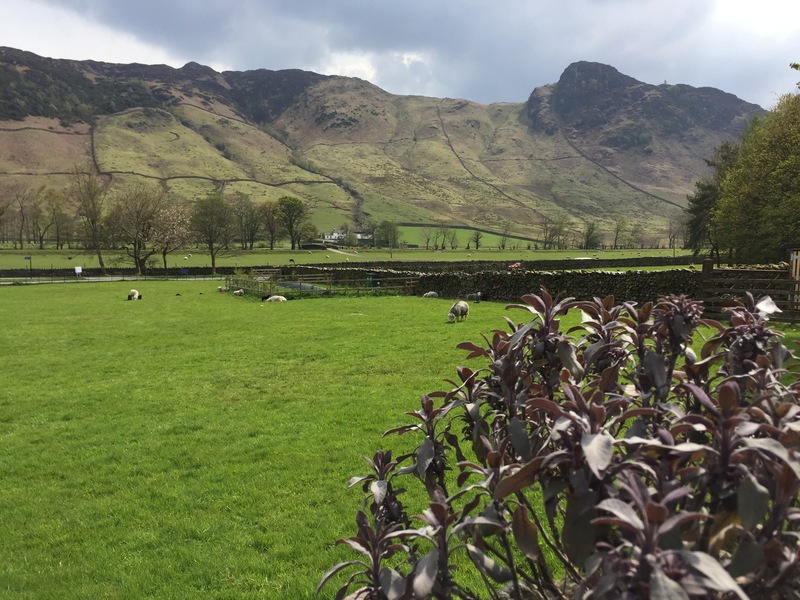 In a month I’ll be heading to one of my favourite places on earth, Langdale, in the Lake District, to go hiking and to talk about My Mother’s Secret in the Sticklebarn, a National Trust pub! I can’t imagine a more perfect combination: walking, wilderness, writing, reading, meeting old friends and new, and a cosy pub. Did I mention that my talk is in a pub? Oh, and the Sticklebarn brews it’s own gin and vodka!! (You can find the details here). One of the settings for My Mother’s Secret is Elterwater, near Langdale. I’ve been going for a few years and staying in the fantastic Elterwater Hostel. You can read more about my experience here, if you’re interested. So when I was wondering where my character, Lizzie Bradshaw, and her husband, Paul, could live, it seemed like a no-brainer. I imagined Paul working as a National Trust warden out on the Langdale Pikes (a spectacular set of mountains), and as a part-time barman in Sticklebarn. Obviously that meant I had to keep returning for further ‘research’! The metal frame of their thirty-year-old backpack creaked as Paul adjusted the straps. She ran through their names in her mind: Pavey Ark, Thunacar Knott, Pike of Stickle, Loft Crag, Harrison Stickle – the five Langdale Pikes. If they even managed a couple of these hills, they’d be doing well. They’d taken the path directly behind the back of the Sticklebarn pub, where Paul worked part-time at the weekends, past the gold blaze of larches in Raven Crag, and now they were heading along the ridge, with Dungeon Ghyll roaring below them. I’ll be writing about using setting and location in fiction for the The Asian Writer, so do look out for that post. 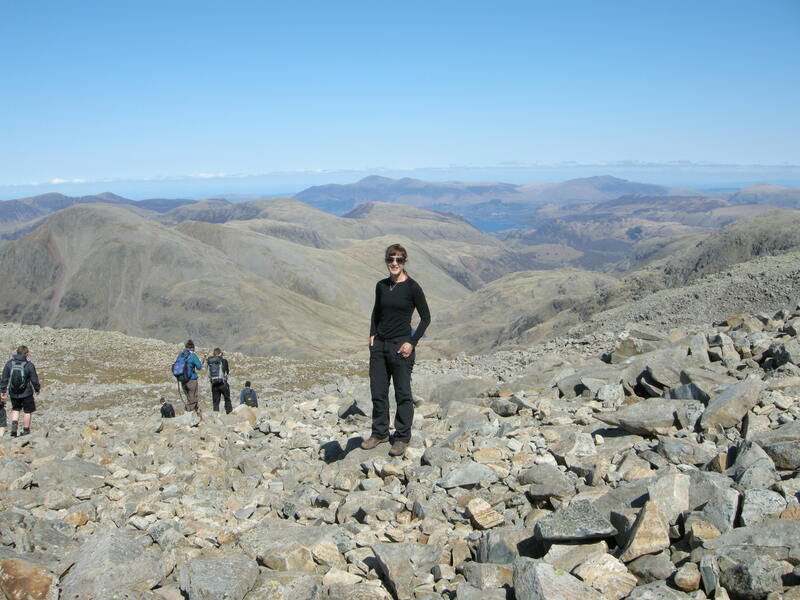 I’ve written before about the joy of hiking for writing as I believe walking can help one be more creative. I’m not alone; many writers, from William Wordsworth to Charles Dickens, used walking to help them think about their work. Recently, I came across some research by behaviour and learning psychologist, Marily Oppezzo, from Stanford University, on how walking can help trigger new ideas. Marily has run several studies on movement and creativity, but in one, she asked people to brainstorm how an everyday object, say a key, could be used creatively. The definition of creativity she used was that it had to be novel and appropriate, in other words, no one has come up with that idea before, but also, appropriate for the situation (so, we all know keys open locks – so another use for a key that is unusual but fitting). The people doing the test either sat down or they walked on a treadmill in a windowless room. What her team found was that the people on the treadmill came up with twice as many ideas! 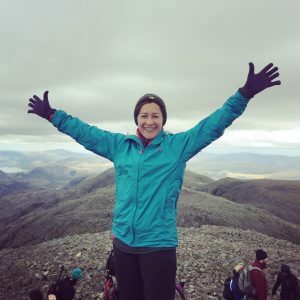 As a result of her research, she’s come up with a few tips: she says to decide on a topic you want to brainstorm first, then go for a walk, think of as many ideas as you can, and jot them down at the time (either take a notebook or record them in your phone). This is also how I work: I put a writing problem into my subconscious, and then later, I’ll go for a walk, take it out and turn it about. Big hikes with company are fantastic in a different way. 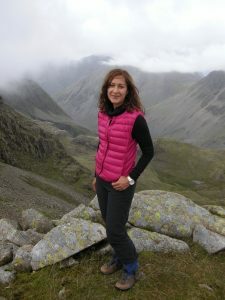 I won’t necessarily be able to concentrate on knotty problems on the way up Thunacar Knott, but I will return refreshed and reinvigorated by the walk, the wildlife and my inspiring friend; ready to crack on with the next novel! I do hope to see you in the Sticklebarn pub for a chat about writing, walking and, maybe, gin! I’d love you to come to my book launch party if you can make it! 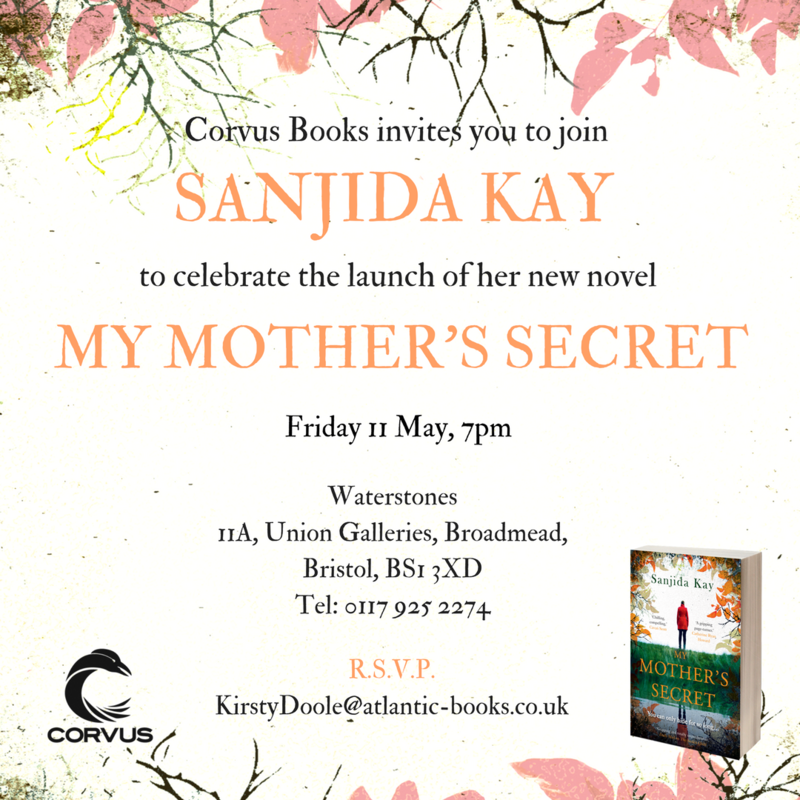 It’s 7 p.m. Friday 11 May at Waterstones, Bristol. There’ll be readings from My Mother’s Secret, and since the lead character, Emma Taylor, is a baker, it’s only right and proper that we should have plenty of cake! There will also be fizz, beer and soft drinks to wash it down! It’s a free event, but do RSVP so we know how much cake to bake! 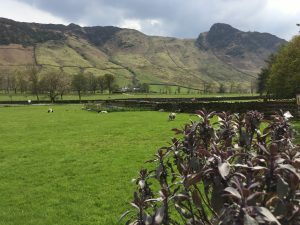 I will also be discussing plot at Novel Nights on 23 May at 7.30 p.m. and reading in one of the locations featured in the novel – Sticklebarn, Langdale in the Lake District on 26 May. Please check my Events page for details. 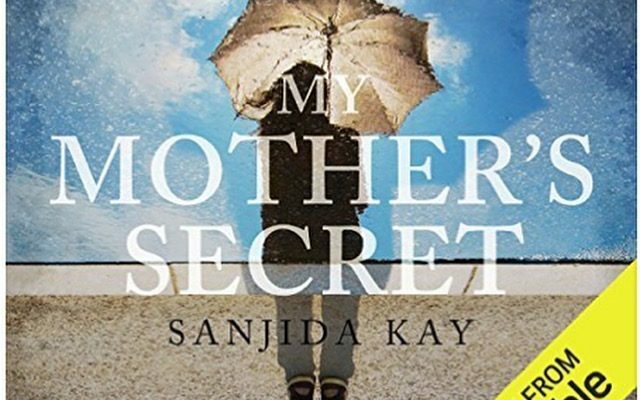 My Mother’s Secret is available to pre-order. I’ve just got back from a long weekend hiking in the Lake District. 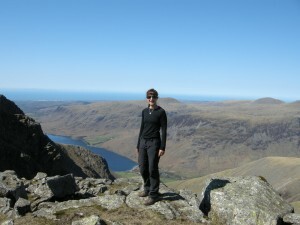 We were blessed with amazingly beautiful weather for the start of April and climbed Scafell Pike. 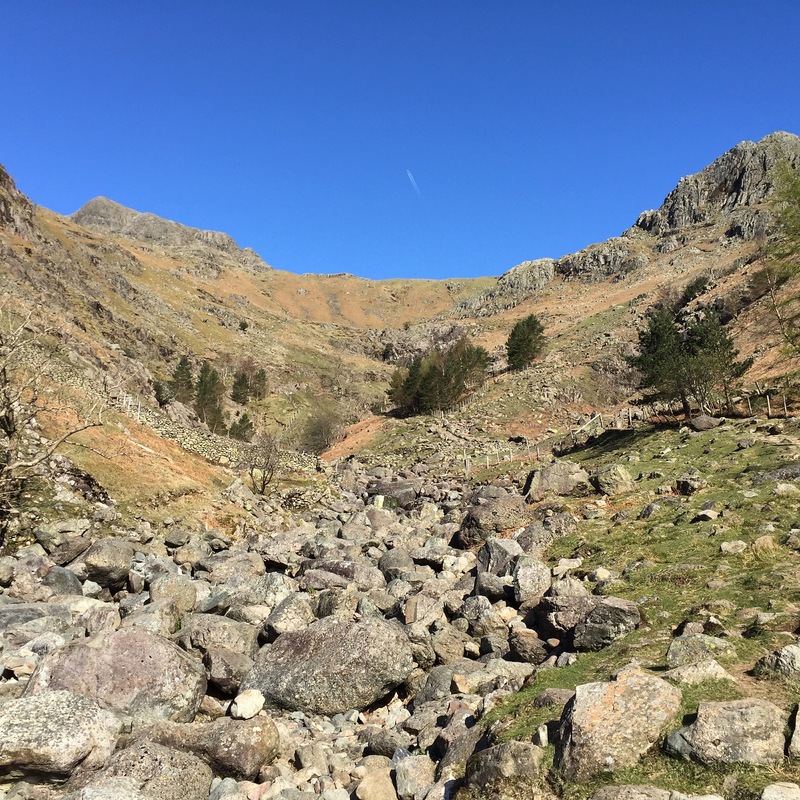 Not content with that challenge, we zipped up Scafell…and then had quite a long walk with achey knees down a scree slope to get back to Wast Water.